Thank you for taking this opportunity to learn more about St. Charles Borromeo Catholic School. 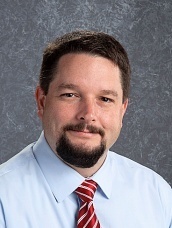 I am pleased that you are considering the school for your student’s educational needs. On behalf of the faculty and staff, I want you to know that we believe it is truly a privilege to be a part of each student’s learning here at SCBCS. As you come to know the school, you will discover that SCBCS has many attributes which set it apart. First, it is more than just a place to learn; it is a community. You will experience this the moment you arrive on campus. Second, students in PreK3 through eighth grade are formed in their faith, have the opportunity to excel academically, and learn the importance of social responsibility. Central to the school’s core mission is the provision of learning experiences that empower students to become engaged in and enthusiastic about their learning. Third, the student body is a healthy patchwork of ethnic backgrounds. The diversity at SCBCS provides an opportunity for the students to experience and embrace different cultures. They readily accept and welcome new students. 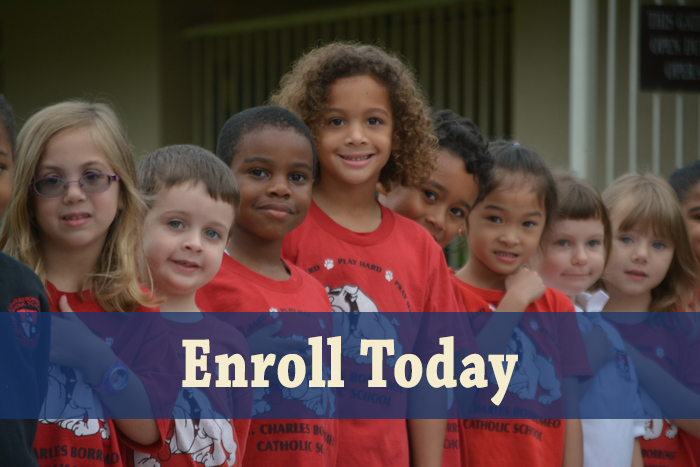 For those considering a PreK3 – grade 12 Orlando Catholic school experience, SCBCS is a natural choice. Bishop Moore Catholic High School, on an adjacent campus, is a nationally recognized high school. Students are familiar with the high school campus and easily transition from SCBCS to BMCHS. I hope that you will schedule a campus visit and let SCBCS speak for itself. As a community, we believe our success as an educational community begins with your careful assessment of the school relative to your student’s needs, as well as our understanding of how we can provide the best education for your student. We look forward to sharing with you the difference the school makes in the lives of our students and their families. Thank you again for your interest in St. Charles Borromeo Catholic School in Orlando. We look forward to meeting you and your family. Please click here to schedule a campus visit.